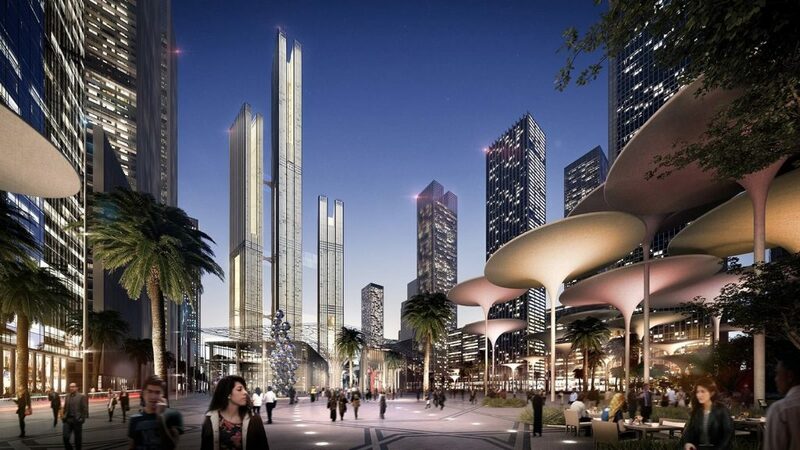 Egypt is invading the world’s top construction markets and preparing itself for a glorious future by announcing the construction of Africa’s highest tower in the New Administrative Capital. 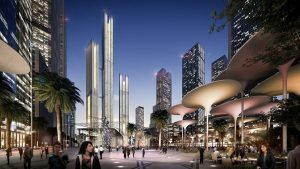 The 120-storey skyscraper will be 345 meters tall, thus, stealing the spotlight from South Africa’s 223 meters tall Carlton Centre which has been the tallest building in Africa since its completion in 1973. This colossal tower will be a massive investment that will have its own unique signature and leave remarkable footprints in history. 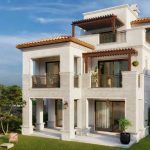 It will have 50 floors dedicated to administrative use and other units suitable for residential use. New Capital‘s skyscraper will also comprise numerous facilities and services including: a world class hotel, 20 restaurants and cafes, a cinema and theatre complex, an ice skating rink, swimming pools, spas, children’s playgrounds, an aquarium, a car yard with a race track, an opera house, a dancing fountain, an amusement park, a heliport and a commercial and retail area. With all that said, an experience of indulgence and supreme luxury is surely guaranteed at the new tower.